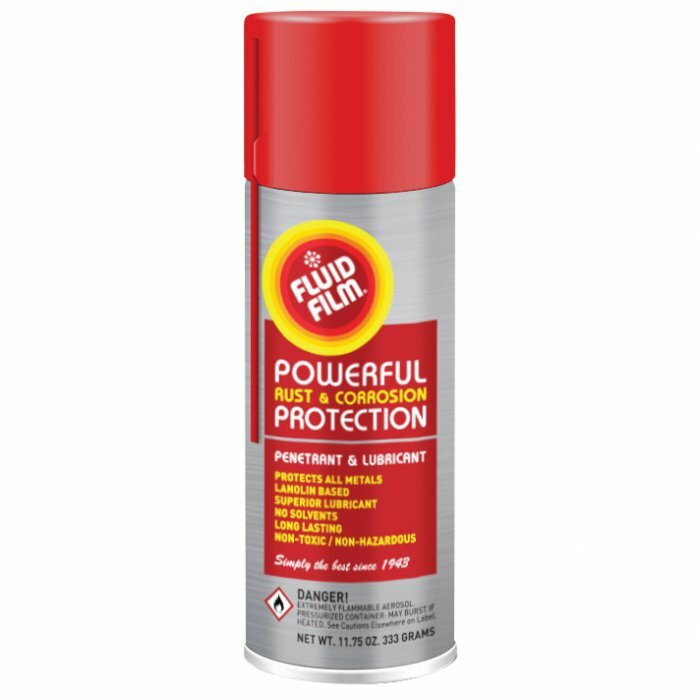 Fluid Film® is a lanolin based rust/corrosion preventive and lubricant that provides long term protection and lubrication for all metal surfaces. Fluid Film® locks out and displaces moisture while lubricating moving parts for extended periods of time. It will not be readily washed off with water, but creates a barrier of protection that continues to work even in the most corrosive of environments. Fluid Film® is the worldwide standard for corrosion protection and lubrication. Fluid Film products offer powerful corrosion protection for all metals and superior lubrication for all moving parts. They are long lasting, thixotropic liquids and gels that have been used for over 55 years in the highly corrosive marine environment of ships and offshore drilling rigs. More recently they have been introduced and successfully utilized in the lawn & garden, aviation and automobile industries, as well as providing an eco friendly solution for home maintenance. Facilities where they are used include government, commercial fishing, gas companies, farming, salt, power, and industrial plants. - Fluid Film products are solvent free and consist of an all natural lanolin base, which contain less than 1% VOC in their bulk form. - Remaining solvent free since the original formulation in 1943, the Fluid Film product line is made of the highest quality corrosion preventives and lubricants available on the market today. - Fluid Film, when used on cutting devices, will not burn greenery.